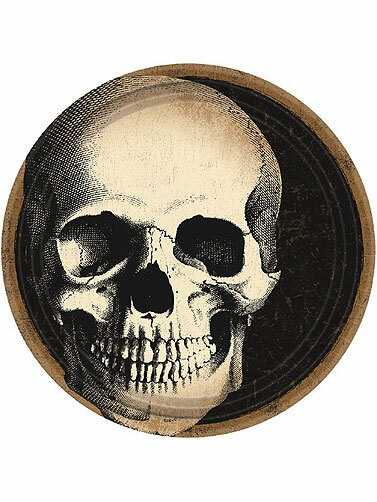 These Boneyard Dessert Plates come in a big party pack and feature a Black/Brown print with a distressed skull. Perfect for your Halloween and Pirate parties. Dessert sized they work well for appetizers and snacks too. Disposable round paper plates. Boneyard Dessert Plates measure 7" in diameter. 60 ct.